Specialists in many aspects of CVD research and practice, confronted with an epidemic, began to study cause and prevention in populations outside the clinical setting. Pioneers collaborated, using quantitative measures to classify their clinical findings. Formal studies began at mid-century, addressing individual CVD risk within industrial populations and describing different rates and traits among diverse populations. These studies led to the “risk factor paradigm” under which CVD epidemiology and preventive cardiology have flourished for several decades. 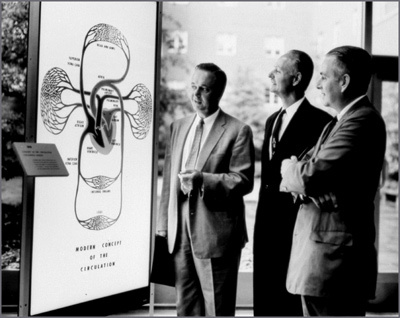 During this early era, major support agencies were founded, including the Medical Research Council of Great Britain, the American Heart Association, the National Heart Institute of the NIH and the World Health Organization.